It’s Spring! Here Come the Rabbits! Speaking of April, our thoughts turn to … the Easter Bunny! 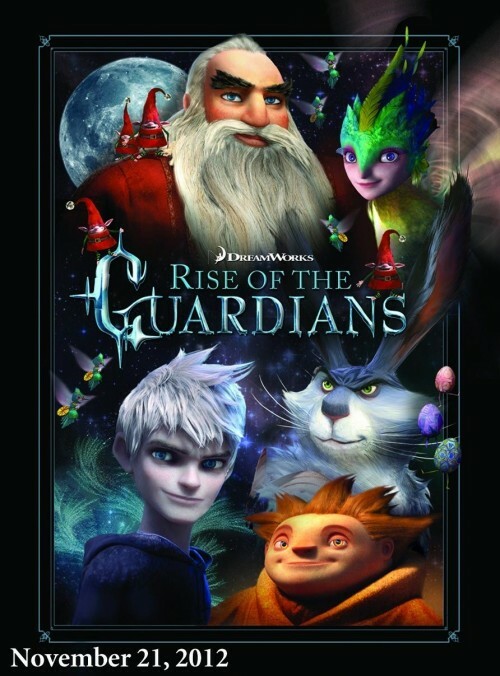 Dreamworks Animation have just released the first official trailer for Rise of the Guardians, which is coming to movie theaters this November. Based on the novel by William Joyce (who also helped to create the script), this 3D CGI movie tells what happens when The Boogieman — known as “Pitch” — threatens to cover the world in a veil of fear. The guardians of children everywhere — Santa Claus, the Tooth Fairy, the Sandman, Jack Frost, and (yes!) the Easter Bunny — join up to defeat him. The Easter Bunny — here known as “Bunnymund” — is voiced by none other than Wolverine himself, Hugh Jackman (whom, you might recall, was also the voice of the hero’s father in the original Happy Feet). Other voices on hand include Alec Baldwin, Chris Pine, Isla Fisher, and Jude Law. Rise of the Guardians is directed by Peter Ramsey, who previously served as head of story on Dreamworks’ Monsters vs. Aliens.